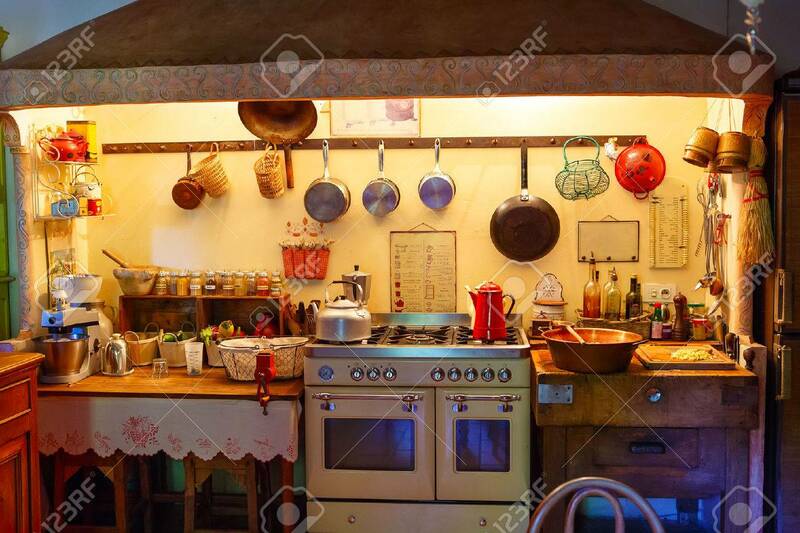 The Interior Of Rural, Old Fashioned, Vintage Kitchen. Provence Style. Royalty Free Fotografie A Reklamní Fotografie. Image 55748667. Reklamní fotografie - The interior of rural, old fashioned, vintage kitchen. Provence style. The interior of rural, old fashioned, vintage kitchen. Provence style.